The skies will come alive with hundreds of kites of all shapes and sizes from local and international kite makers and flyers, so be sure not to miss Australia's most exciting annual kite flying festival. This much loved annual event encourages the community to come together in the spirit of Christmas to sing to their hearts delight! 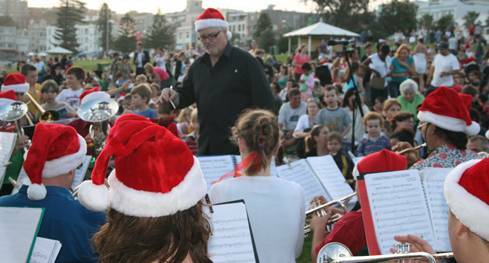 There will be children's entertainment, the Waverley Bondi Beach Band, carols choir and much more. The BONDI WAVE, Sydney’s premier music course is committed to training the next generation of musicians. The Pavilion holds this course annually and looks for enthusiastic people with a passion for music to sign up for this great learning opportunity. 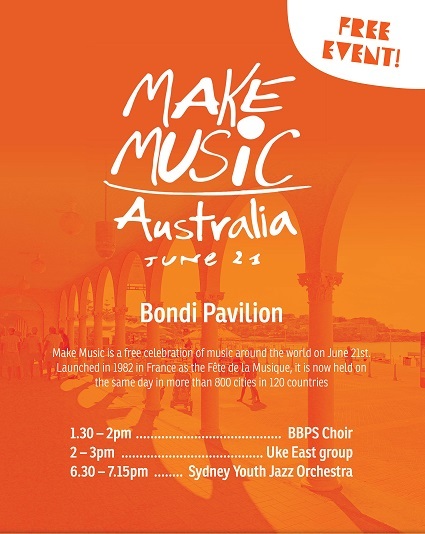 Come down and see the talented graduates of the Bondi Wave in a awesome, one night only gig!